Delivered Cheyenne 3/1/43; Salina 11/1/43; Morrison 8/3/43; Assigned 422BS/305BG Chelveston 8/4/43; Lost St Nazaire 29/5/43. Pilot, Marshall Peterson, POW. Co-pilot, Harry E. Bentz. Navigator, Larry Mandleberg, POW. Bombardier, Frank R. Perrica, Evaded. Flight engineer/top turret gunner, Hilton Hilliard, POW. Radio Operator, Joseph James Freeborn, POW. Ball turret gunner, Pete Milasius, Evaded. Waist gunner, George P Smith, POW.Tail gunner, Sal Tafolya, Evaded. Waist gunner, Percy C Matthews, Missing in Action. Flak hit, aircraft broke in two, crashed Saint-Bihy, 12 miles SW of St Brieuc, Fr. No MACR. Just stumbled across this information I am the son of T/Sgt. Joseph James Freeborn (his name is wrong here) and was delighted to obtain this information. 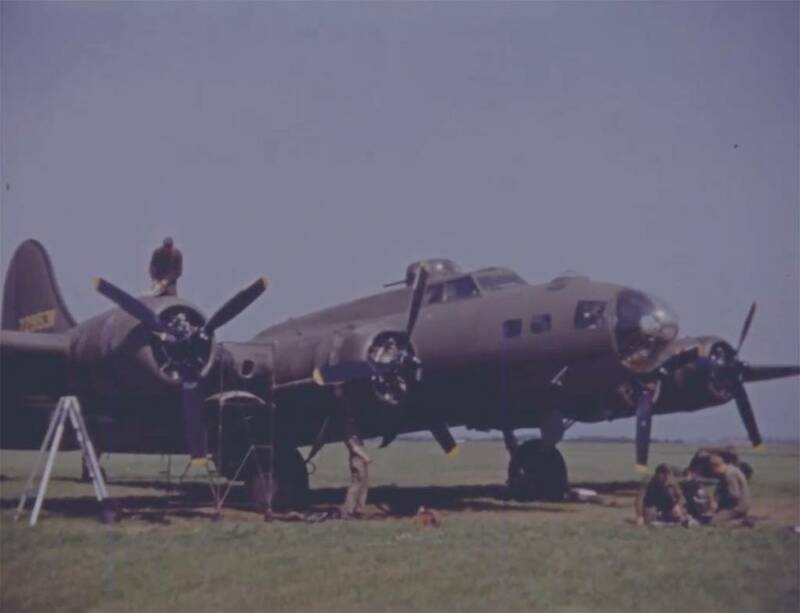 He was taken POW after the B-17 crashed and was imprisoned for almost 2 years. He died October 1985 and lived a good life. He married his wartime sweetheart who he met in St. Louis while he was in Tech School at Scott Airfield, IL. He raised 4 children and left a great legacy to his family. He was a member of the greatest generation. Thank you! I have corrected the name.